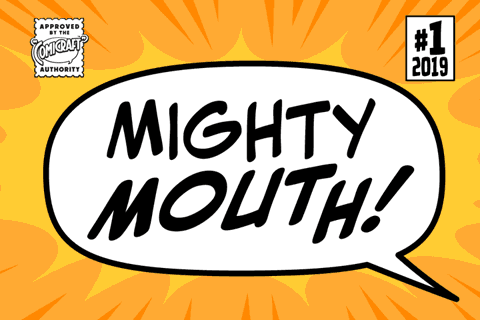 These letters come to save the day -- Mighty Mouth is on the way! When there's Danger, never Despair; The Sound of Mighty Mouth is in the air! 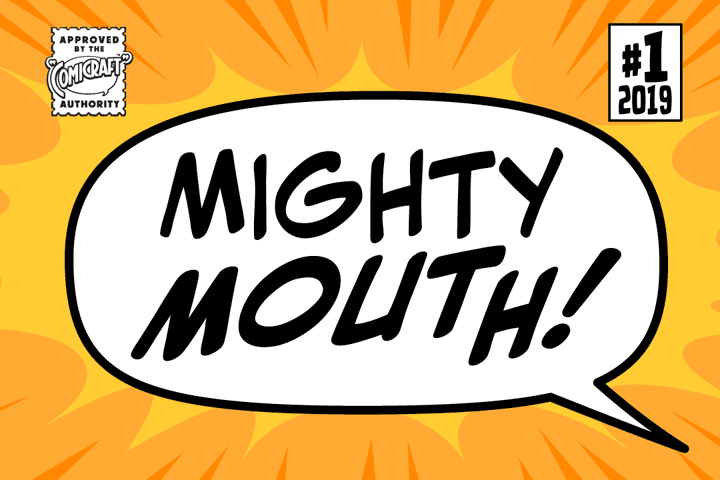 Now YOU TOO can shoot your mouth off with the Mouth Almighty of Mighty Mouth. 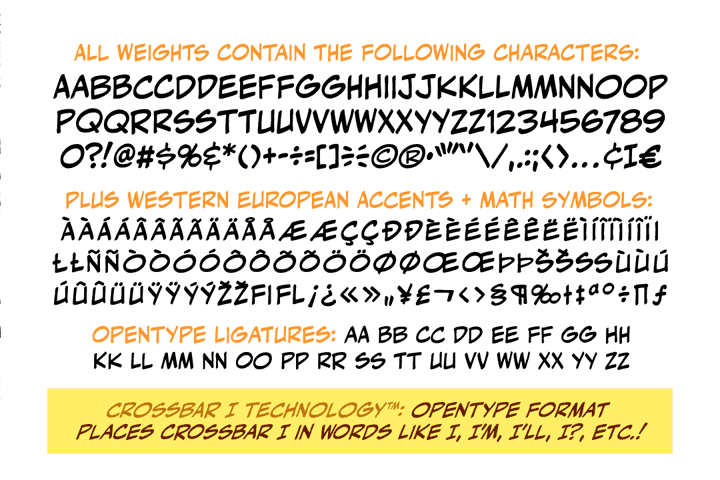 Comicraft’s latest offering utilizes variable type technology, for user-adjustable bold, italic and BOUNCE in illustrator (or any other program that handles variable fonts)! 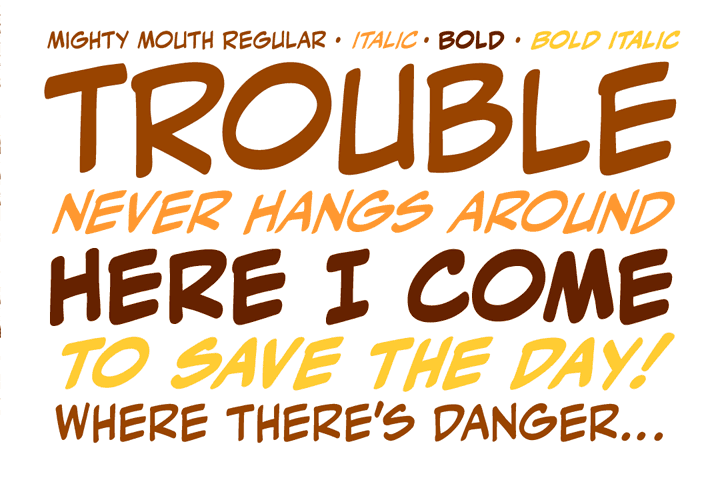 CAUTION: You may wish you’d never opened it, this font has no control over your tongue! 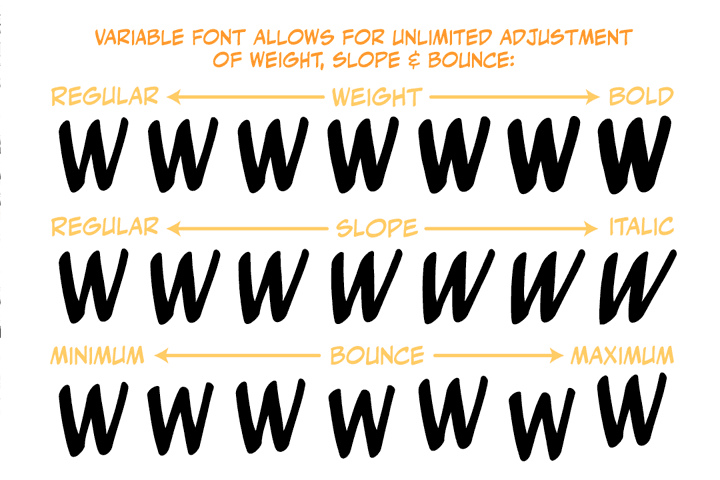 Eight weights (Regular, Italic, Bold, Bold Italic, Bounce, Bounce Italic, Bounce Bold & Bounce Italic) with alternate uppercase characters and Western European accents. 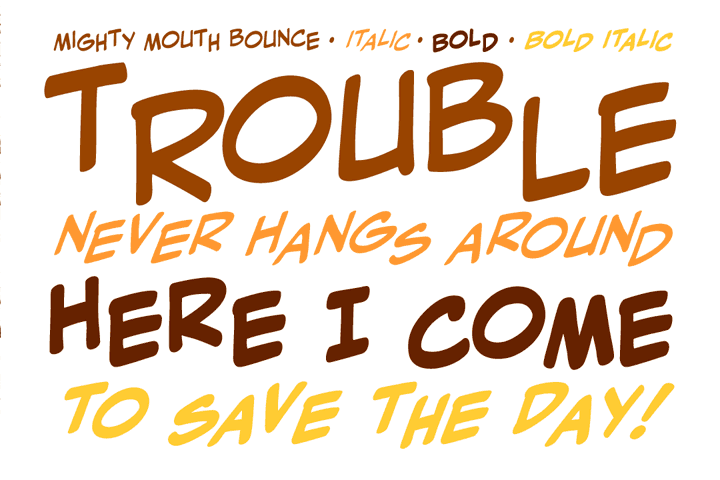 Also includes Variable font with adjustable Italic, Bold and Bounce.